St. George bow is delivered in individual packing (12 cm * 19 cm) with a nested clip (pin). The May 9 is the day of the Great Victory, which our grandfathers and great-grandfathers have achieved. The modern generation should not forget about the biggest sacrifice that could only be brought – the lives of millions of people. Our duty is to show others that real heroes continue to live in the memory of descendants. 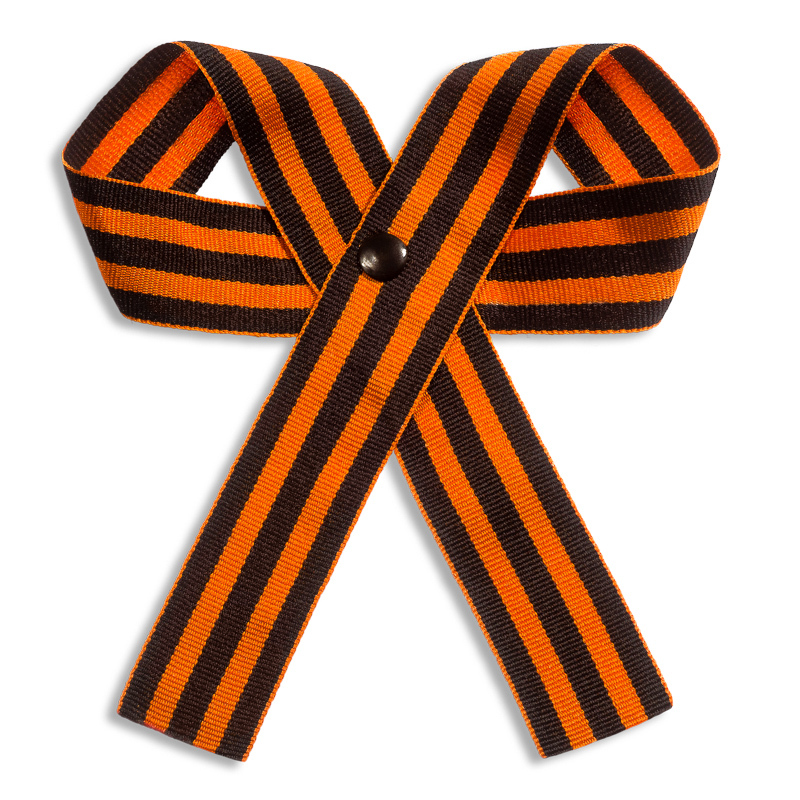 OOO PTGO SEVER proposes to purchase a St. George ribbon so that everyone can demonstrate his involvement in the initiative, which for the thirteenth year has been connecting many cities and countries. Product composition – St. George ribbon is made up of two identical loops, fastened with metal rivet and burr. 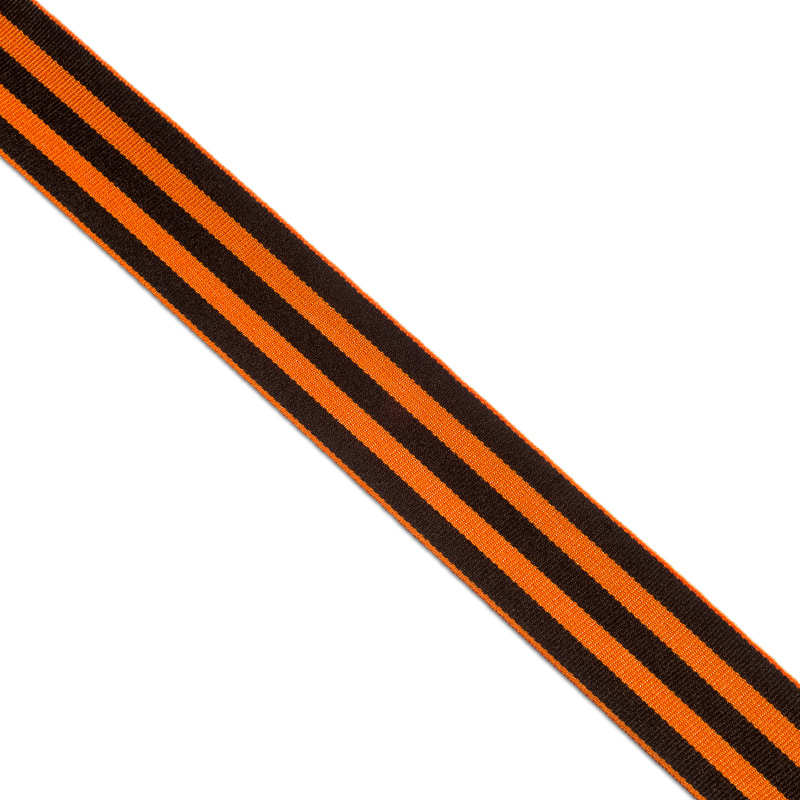 Along the entire product length product there are alternating longitudinal black and orange stripes, characterizing “smoke and fire”, symbols of war. 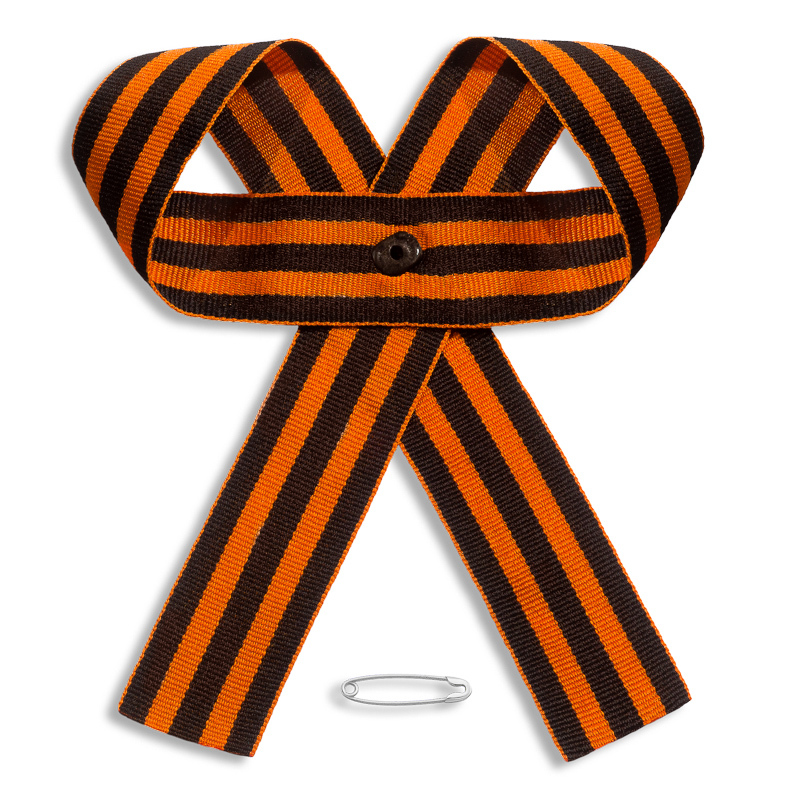 In our production association, you can buy St. George ribbon in the form of a bow at the most attractive price. For safety, each product is placed in an individual package.